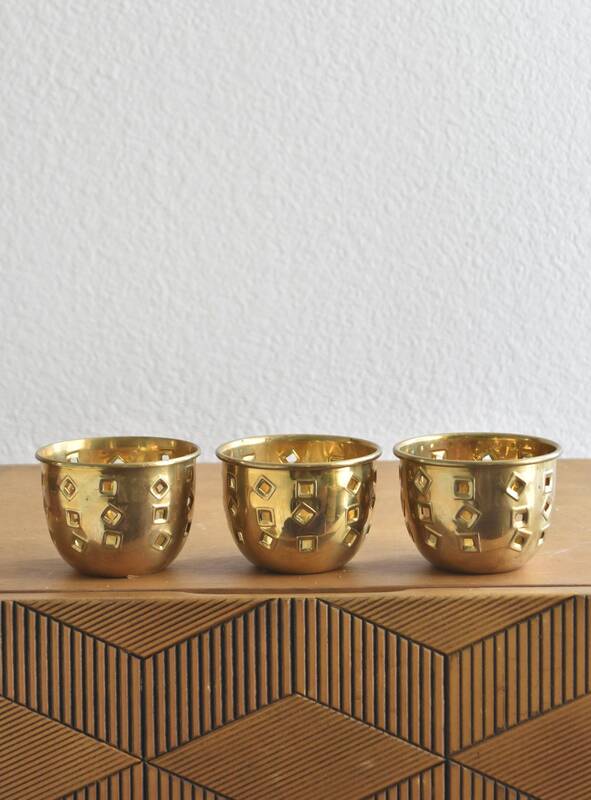 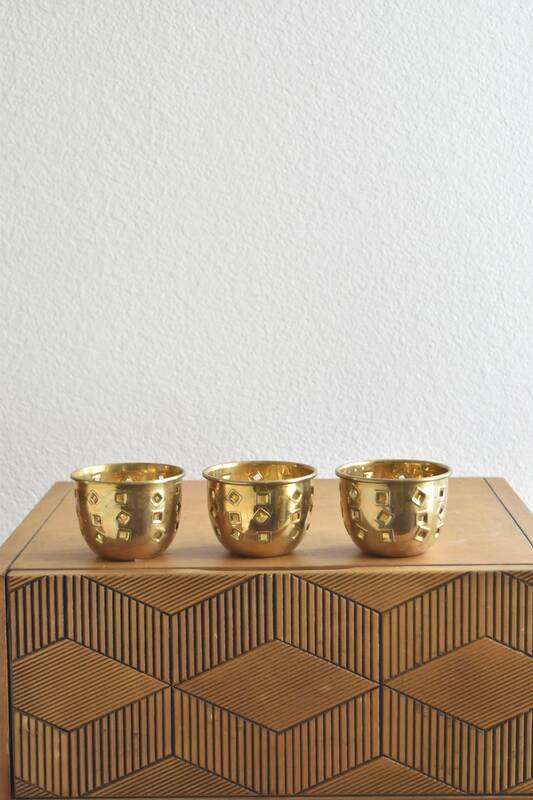 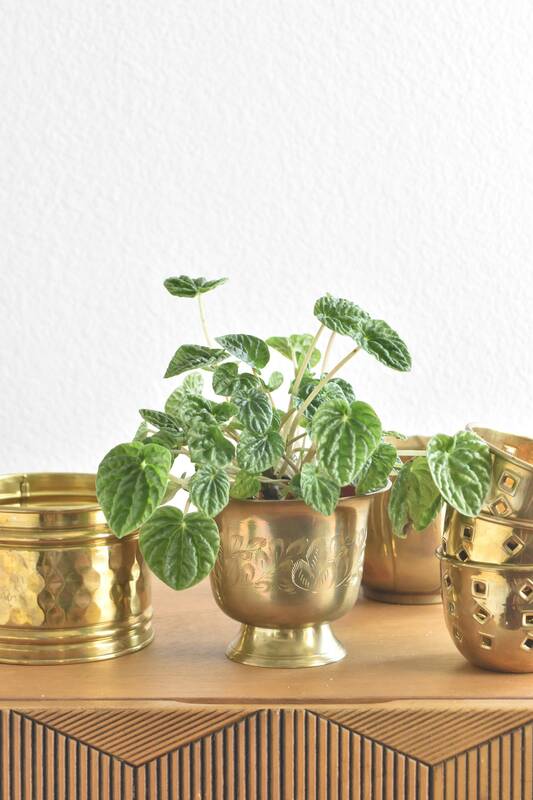 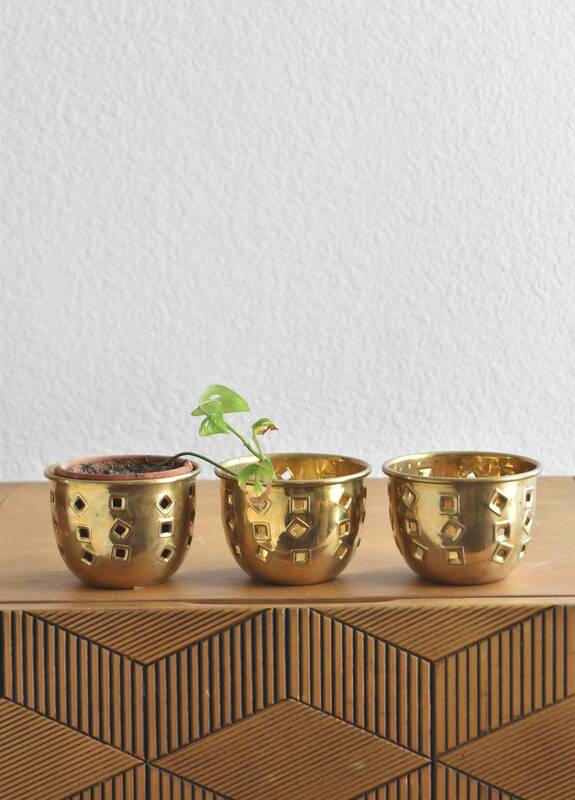 Set of 3 matching brass votive candleholders. 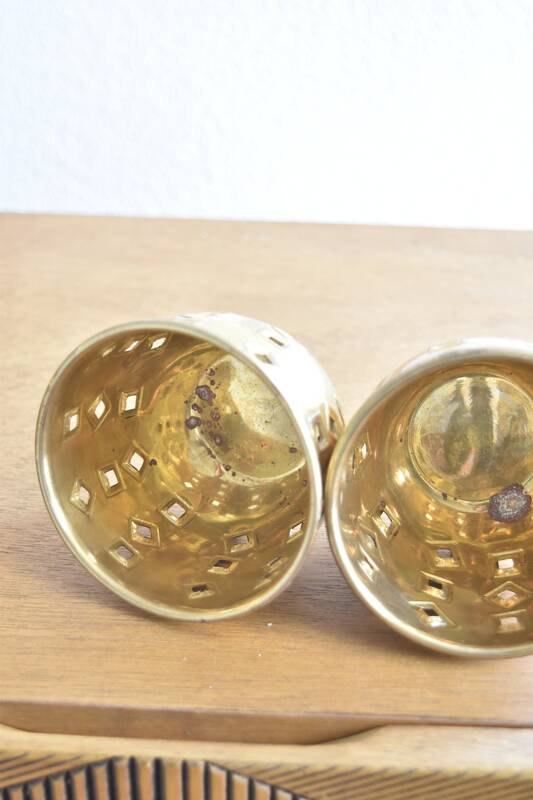 All in good condition wit some tarnish. 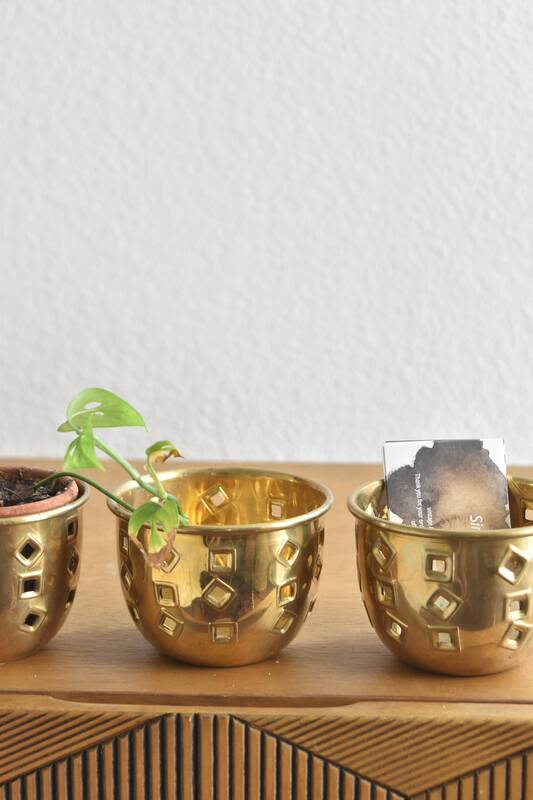 Also works great as mini planters.